Click through for all the ways Kendra Scott will be giving back in the month of October. 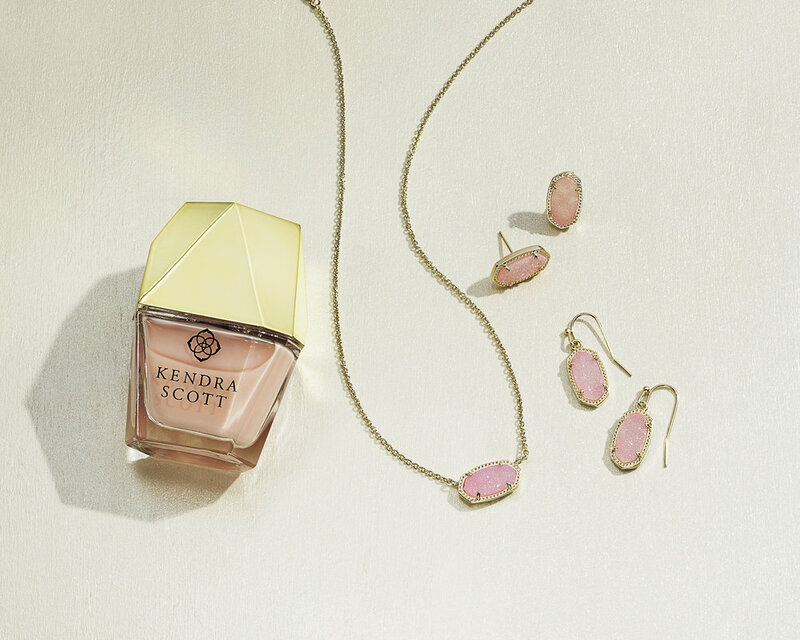 Throughout the month of October, Kendra Scott is donating 20% of the purchase price from our Giveback Suite to Breast Cancer Research Foundation (BCRF), up to $50,000. BCRF’s mission is advancing the world's most promising research to eradicate breast cancer. For more information about BCRF, visit www.bcrfcure.org. For every piece purchased from our Giveback Suite, we will donate a gift of jewelry in Rose Quartz — the stone of healing — and a handwritten note of encouragement to a woman undergoing breast cancer treatment. Missy, Holley's sister, with Kendra presenting the check to Deric and Betsy from Inheritance of Hope. October 13 will mark our second annual Holley Day, celebrating a loving mother, a loyal friend, and an inspiration to millions around the world — Holley Rothell Kitchen. 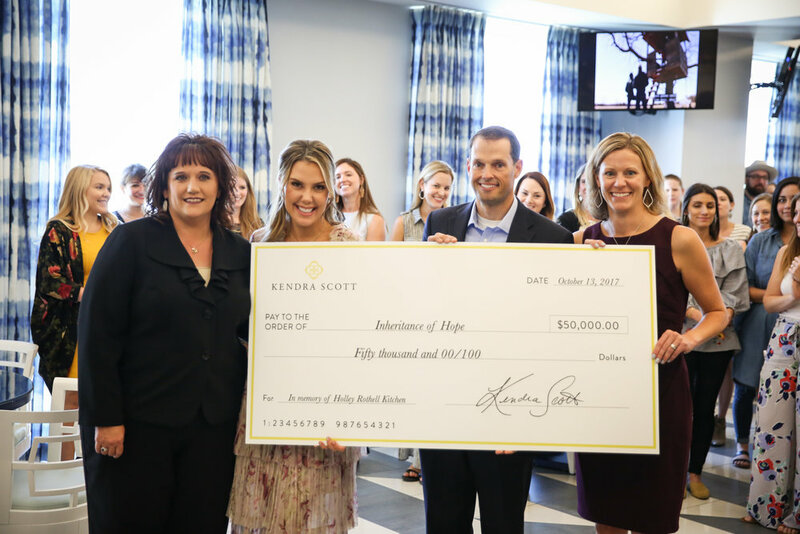 Inspired to carry on her legacy by dedicating a day of giving to Holley, Kendra Scott is donating $50,000 to Inheritance of Hope. These funds will be used as a legacy retreat, an all-expenses-paid experience where families like Holley’s create lifelong memories and receive tools to navigate the challenges of terminal illness. Inheritance of Hope in an organization that inspires hope in young families facing the loss of a parent. Learn more and donate today at inheritanceofhope.org.